Get to know sone of the most beautiful parts of the Swedish capital Stockholm through the "Girl with the Dragon Tattoo" films. 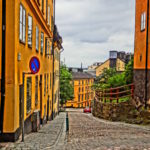 Stockholm, and more precisely its trend district Södermalm, is the setting of the millennium trilogy novels The Girl with the Dragon Tattoo, The Girl Who Played with Fire, and The Girl Who Kicked the Hornets’ Nest, all written by Swedish bestselling author Stieg Larsson. In the early 2000s, all three novels were made into Swedish feature films. Plus, in 2011, Hollywood made a reboot version of The Girl with the Dragon Tattoo starring Daniel Craig as Mikael Blomkvist and Rooney Mara as Lisbeth Salander. Daniel Craig and Rooney Mara in "The Girl with the Dragon Tattoo" (2011). Photo: © 2011 Columbia TriStar Marketing Group, Inc. 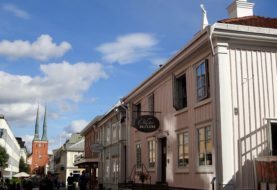 Fans of either the Swedish or American movies, should not miss the dedicated 2‐hour‐tour Millennium Film Locations Tour in English, which takes place on Saturdays and Thursdays from July to September. 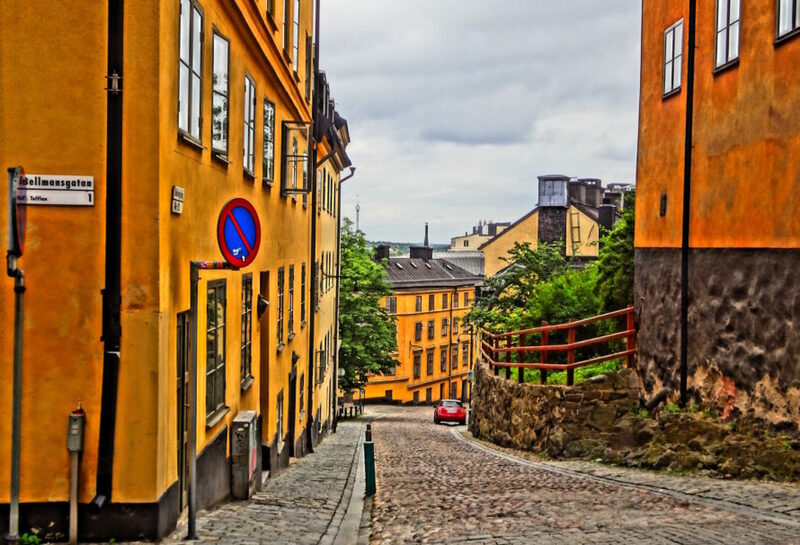 The tour starts in Stockholm's trendy hipster district Södermalm along some really beautiful cobbled streets and houses. The first stop will be at Bellmansgatan 1 – the home of the main character, journalist Mikael Blomqvist. 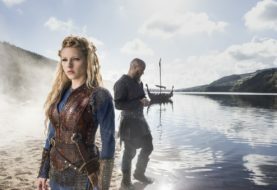 You will then walk your way through all the other key film locations such as the Millennium editorial office, the characters' favourite bars and cafés, and of course Lisbeth Salander’s luxury apartment. Added bonus: a stunning view of Stockholm from a hill top is included, too! 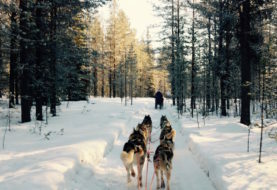 Tickets for the tour are 130 SEK (around 14 Euros) each and can be booked online. Alternatively, you buy a Millenium Map (SEK40 = around 5 Euros) to tour the film locations at your own pace. The 7‐Eleven where Lisbeth goes shopping is located in an area of Stockholm which has the highest "hipster density"
If you only have a few days in the Swedish capital and want to make the most of it, check out my 72 hours in Stockholm post. For more of my tested‐and‐tried sightseeing ideas in the Swedish capital, have a look at all of my Stockholm posts at a glance.